The Dell PowerEdge R710 helps you achieve efficiency in any environment and lower cost of ownership with enhanced virtualization competence, revised energy efficiency, and innovative system management tools. The Refurbished Dell PowerEdge R710 Server with the accomplishment of Intel Xeon processor 5500 and 5600 series offers you a 2U rack to accurately address a wide range of business applications. Dell R710 Server is available for the lowest possible price, don’t delay, and grab the opportunity right away. Get Instant Quote which includes Dell PowerEdge R710 price in India with its each & every Component. For those who are looking for an abundance of memory and storage, the Dell PowerEdge R710 is the right choice. It delivers greater virtual machine per server capacity, the server adapts to your application or software in real time and helps to process more tasks at the same time. With optional virtualization capabilities, the Dell R710 gives the solutions that enable you to streamline simplify the virtual infrastructures. You can choose the hypervisor from market leaders such as Citrix, VMware, and Microsoft to enable virtualization with a few clicks. When compared to Dell PowerEdge servers of previous generations, the Refurbished Dell R710 Server cuts down the power consumption while increasing its performance using the energy agile technologies and standard components along with efficient power supply units, upgraded system-level design adaptability, and tactic driven power and thermic management. The progressive thermic control delivers the best performance by consuming lower power without negotiating enterprise-level performance. Customers can choose various operating systems like Red Hat Ent Linux 4.6,5.2 ,Red Hat Ent Virtual3 ,Linux 4.5 ,Linux 4.7 ,6.2,7.0 ,Sun Solaris ,Suse Linux ES 10,12, VMware ESX 3.5 ,ESX 4.0, ESX 4.1 ,Citrix XenServer 5, 5.6,6.1, 6.2,6.5, Red Hat Enterprise Linux 4.5,6,7, Novell SuSE Linux ES 10,11 ,VMware ESXi 4.0 ,4.1 ,3.5, 5.0, 5.5, 5.1,5.5,6.0, ,Windows Server 2003,2003 x64 2008 R2, 2008 x86, 2012, 2012 R2. Server will be installed with the selected OS and then it will be given to the customer. Dell PowerEdge R710 RAM Configuration includes up to 288GB 18 DIMM slots, i.e. 16GB /8GB /4GB / 2GB/ 1GB DDR3 up to 1333MHz,& the Maximum Storage Space it includes is 18TB with multiple Raid controllers and uninterrupted Dell PowerEdge r710 power supply. Everything comes in a nutshell for the affordable price. We tried our best while giving the lowest price possible. We value for money, so we try our best giving the lowest possible prices for customer’s satisfaction and affordability assurance. Dell PowerEdge R710 Server is a genuine product, tested at all levels and delivers maximum efficiency. Therefore, the refurbished server can blindly be trusted to invest on from server basket, because we ensure 100% quality performance. 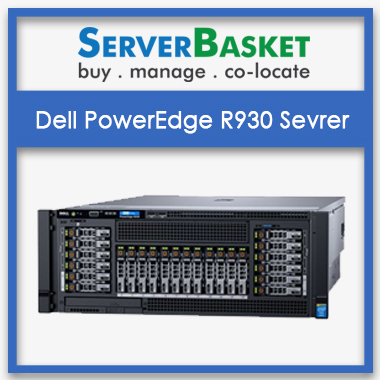 When you purchase a Refurbished Dell PowerEdge R710 Server, you have the peace of mind in knowing that your server is covered by standard warranty from Server Basket. One year warranty applies to spare parts and 90 days warranty for barebones. During the warranty period, we will take care of any failures that may occur unexpectedly with RAM, Hard Drives, Cooling Fans, etc. or barebones of the Used Dell R710 server. We deliver the Dell PowerEdge R710 Server to every nook and corner of India such as Hyderabad, Bangalore, Delhi, Mumbai, Chennai, Pune, Chandigarh, Visakhapatnam etc. in a maximum of 3 working days without charging extra other than the price. We send acknowledgement after delivery in the form of an email or message. Since our headquarters warehouse located in Hyderabad, local customers can even get delivery in less time if required. Our friendly tech support team is available to help you round the clock, seven days a week. Please feel free to contact us if you have any questions or issues with the Dell PowerEdge R710 Server! Our high experience, trained tech support team is available to assist you with your served needs. For your convenience, we provide you with a number of options like live chat, Email id and Phone call to reach us. We respond to all contacts by the same means they are received. Refurbish Dell PowerEdge R710 2U server/ dual socket Processor - 2 x Intel® Xeon® Processor L5630 (2.13 GHz/4-core/12MB/40W) / 2 x 8GB DDR3 Server RAM/ 18 DIMMS RAM/1 x 600GB SAS 10K RPM 6 GBPS SFF 2.5 HDD/ Support 6 LFF (3.5inch)/ Hot Plug Drive Open Bay / Raid Controller PERC 6i 128MB cache with battery (raid 0,1,5)/ 3 PCIe slots / 4X1Gb Network /Hot Plug| Hot Swap dual Dell 900W AC 240VDC Power Module / universal rail kits /90 Days Warranty/ 24x7 Support. 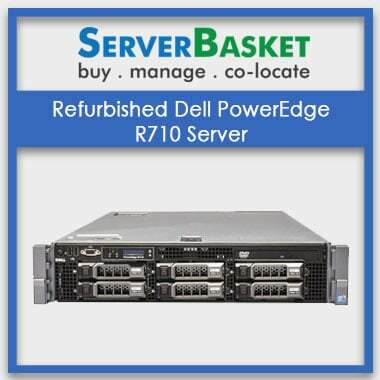 Refurbish Dell PowerEdge R710 2U server/ dual socket Processor - 2 x Intel Xeon Processor E5620 (2.40 GHz/4-cores/4MB/80w)/ 4 x 8GB DDR3 Server RAM/ 18 DIMMS RAM/1 x 1.2TB SAS 10K RPM 6 GBPS SFF 2.5 HDD/ Support 6 LFF (3.5inch)/ Hot Plug Drive Open Bay / Raid Controller PERC 6i 128MB cache with battery (raid 0,1,5)/ 3 PCIe slots / 4X1Gb Network /Hot Plug| Hot Swap dual Dell 900W AC 240VDC Power Module/ universal rail kits /90 Days Warranty/ 24x7 Support. 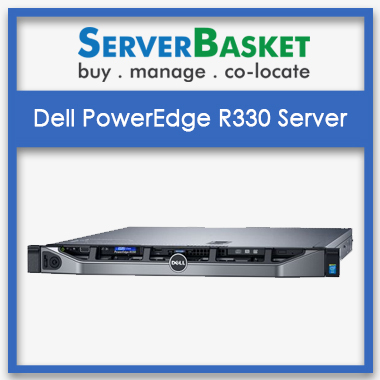 Refurbish Dell PowerEdge R710 2U server/ dual socket Processor - 2 x Intel® Xeon® Processor X5650 (2.66 GHz/6-cores/12MB/95w) / 6 x 8GB DDR3 Server RAM/ 18 DIMMS RAM/1 x 2TB SAS 7.2K RPM 6 GBPS SFF 2.5 HDD/ Support 6 LFF (3.5inch)/ Hot Plug Drive Open Bay / Raid Controller PERC 6i 128MB cache with battery (raid 0,1,5)/ 3 PCIe slots / 4X1Gb Network /Hot Plug| Hot Swap dual Dell 900W AC 240VDC Power Module / universal rail kits /90 Days Warranty/ 24x7 Support. Refurbish Dell PowerEdge R710 2U server/ dual socket Processor - 2 x Intel® Xeon® Processor X5675 (3.06 GHz/6-cores/12MB/95w) / 8 x 8GB DDR3 Server RAM/ 18 DIMMS RAM/2 x 2TB SAS 7.2K RPM 6 GBPS SFF 2.5 HDD/ Support 6 LFF (3.5inch) Hot Plug Drive Open Bay / Raid Controller PERC 6i 128MB cache with battery (raid 0,1,5)/ 3 PCIe slots / 4X1Gb Network /Hot Plug| Hot Swap dual Dell 900W AC 240VDC Power Module/ universal rail kits /90 Days Warranty/ 24x7 Support. Why Dell R710 server is capable for huge work load? The Dell R710 2U rake server can do any sized tasks for its outstanding features. This server comes with Intel Xeon E5640 processor, 288GB memory, 8Tb internal storage, 16GB Ram, 2.5 SSDs, 3.5 hard drives for high performance at a minimal effort. 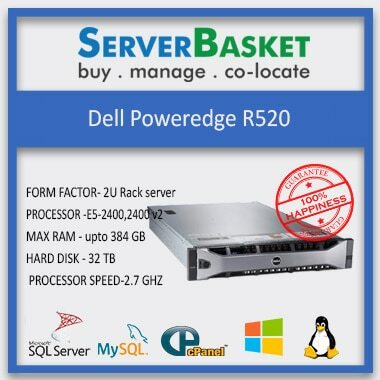 If I buy Dell R710 server, then how shall be I benefited? Dell R710 server not only gives high performance it will bring economic growth for your company. Dell R710 is the ultimate solution to at every level within the budget of your organization. The finest technology makes the CPU and motherboard more powerful. Where I can get this high end server? 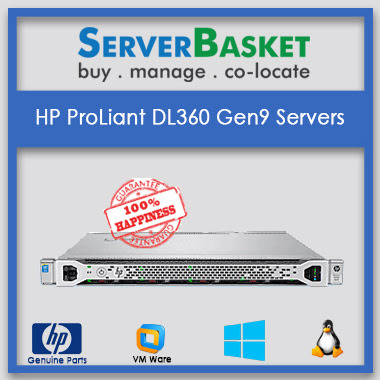 Server-basket is the leading dealer of Dell servers to provide you the best server at lowest price compared with other merchants in India. Just log on to server-basket and follow the instructions to get the finest server at your doorstep with a hassle-free instant shipping. Is Dell R710 refurbishes at good condition? 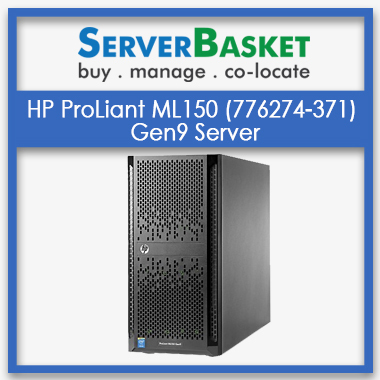 Yes, we are providing used servers with good condition. If you are facing any troubles while using the used servers then our support team will help you to get rid of all the issues. What categories offer Used servers on serverbasket.com? How long will it take to deliver a Dell PowerEdge R710 Used Server? Used Server can be delivers within 2-3 working days. We provide several payment options such as COD, credit card, debit card, net banking. How I will get the solution for any technical issues? Our technical expert is ready 24/7/365 to give you support regarding server issues. You can call us to speak with our expert engineers to get the best solution for your Dell server. Our job does not end with the selling of servers we care for servers.